HomeOur ProgressionWhat Is On Your Map? The only real guarantees on any journey have to do with God’s plan and our plan. 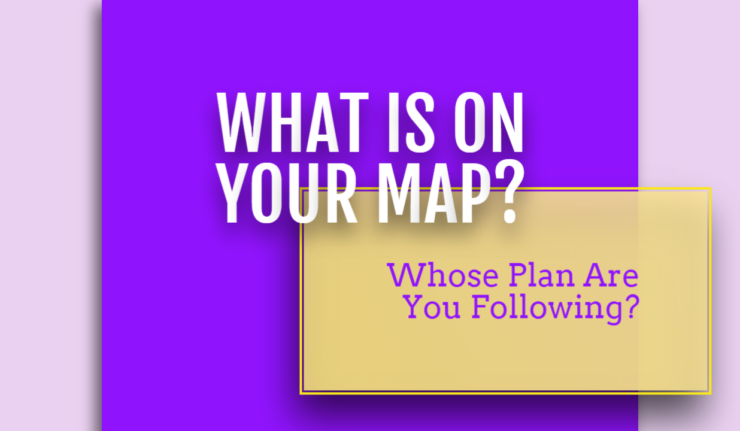 When God shows you the grand visions for your life and the steps you need to take in order to get there, your journey’s map has been laid out for you. You don’t have to figure it out anymore. The planned map I prefer is the one God’s provided because I know He knows the end of the story. God also knows the purpose He has for my life and what I need to do in order to fulfill it. I know that if I stick to His plan, the results of my journey will be much better than if I stick to my own plans. The reason why our plan is the other guarantee is that we will do what we want to do. It is human nature to to do that. But once we realize that God’s plan will yield much better results, it becomes abundantly clear what we must do next. I have seen God’s visions for my life and gone my own way more than once. The results were never anywhere close to the wonderful visions God showed me. I am at a point in my life where I want to begin realizing the grand visions and I need to follow the map that has been provided. Have you received your map yet? Then it is time to follow those steps. Start Today! The Year of Realization is now! Wishing you great success on your journey into your passions.